Syrah Resources is committed to adhering to international standards for environmental sustainability and to reducing its operational foot print to as low as reasonably practical. The Environmental Monitoring Program (EMP) is critical to ensuring we identify and understand the impact we are having on the local ecology so that we may implement appropriate controls to mitigate this risk. Members of our Host Communities play an active role in the delivery of the EMP to ensure local experience, customs and practices are incorporated into our monitoring activities. This way, we can combine local knowledge with leading environmental techniques to create a rigorous and sustainable approach to managing our footprint. An external auditor reviews the Company’s monitoring activities and associated performance each year to ensure compliance with our environmental license conditions. Rehabilitation plans have been developed for the Balama Graphite Project at several different stages of mine development. These plans are established in consultation with local stakeholders and include the restoration of the mine concession with respect to soil profiles, landforms and vegetation. The Balama Graphite Deposit is a long-life asset requiring ongoing consideration and modelling of mine closure requirements. 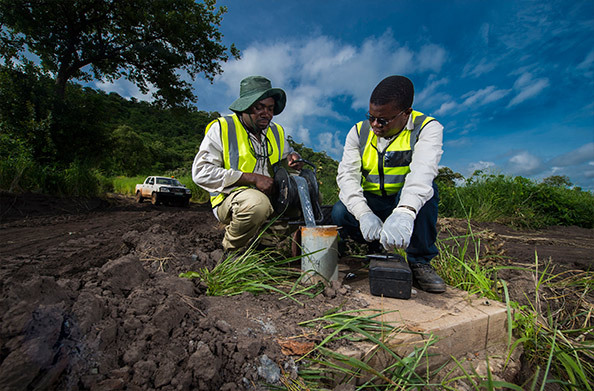 Environmental performance is reported annually to the Ministry of Land, Environment and Rural Development (MITADER) in the Republic of Mozambique and regularly to the Company’s Sustainability Committee. Read our Environment Policy here.